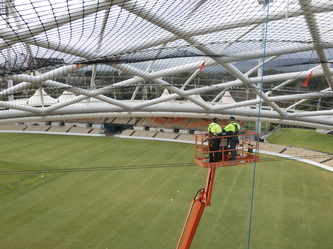 Big Netting Job? Challenge Us! 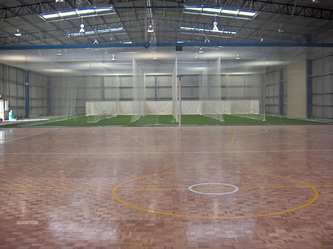 At Advanced Nets & Ropes no job is to big or too small... 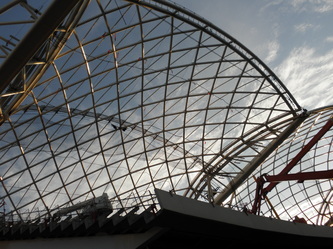 In fact, we have been called in to complete jobs that others couldn't finish! 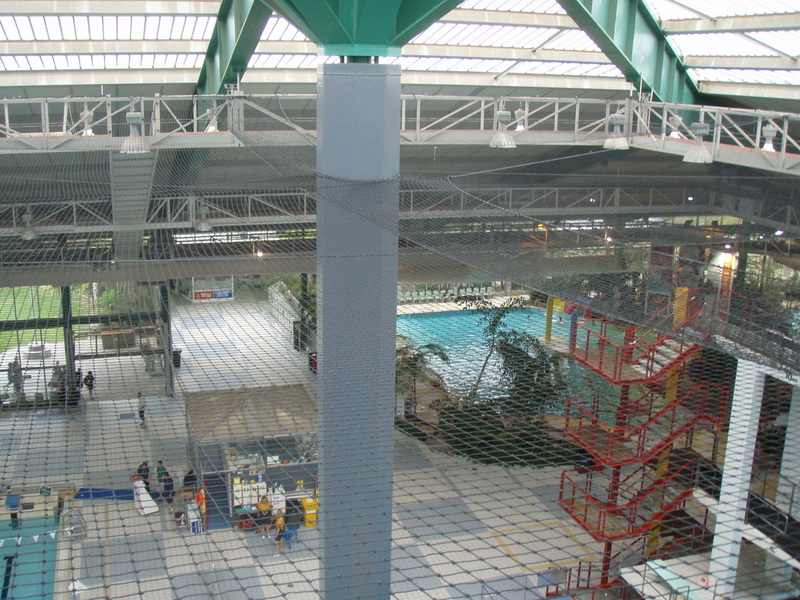 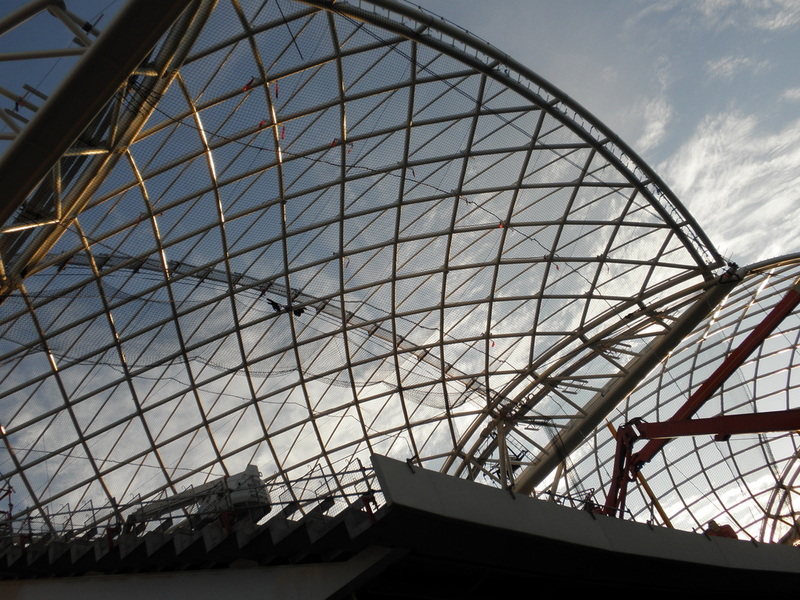 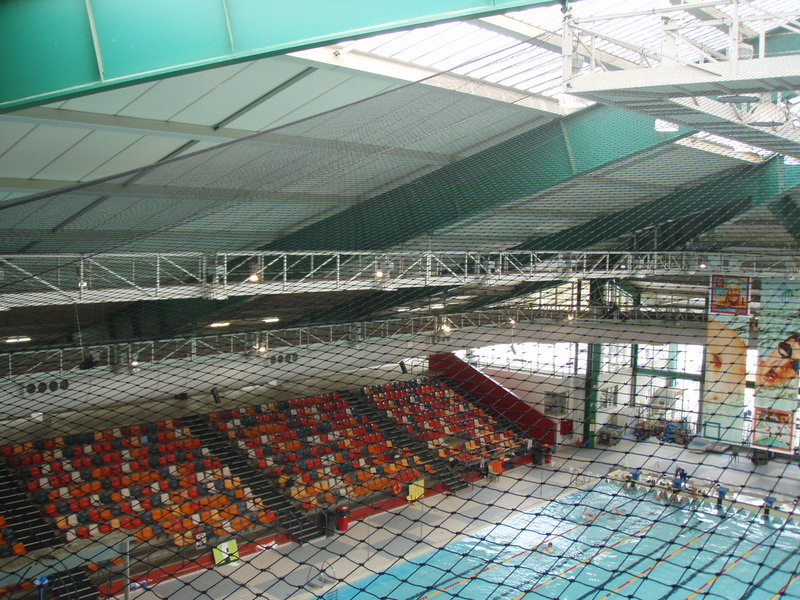 If you have concerns about how something will work, how something will be accessed or how something could possibly be installed in a location, let us worry about that for you... We have proven track record in installing complex netting structures. 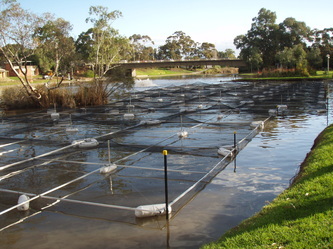 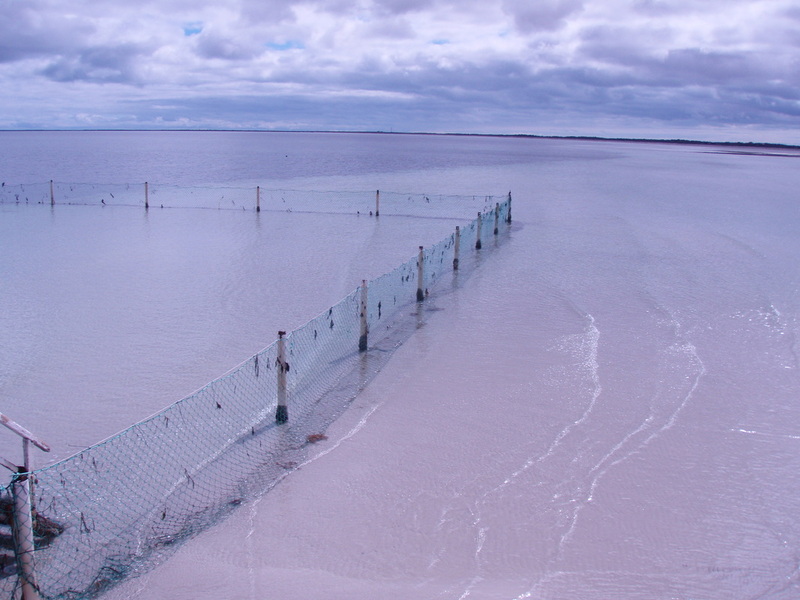 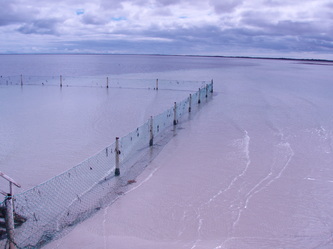 The Advanced Nets team bring together over 70 years experience in a range of netting and pest control fields including aquaculture, sports, industrial, safety and fishing industries in Australia and overseas so you can trust us to not only get the job done, but also to a high standard. 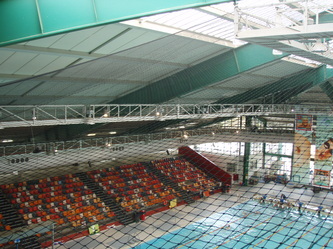 Installing huge safety nets covering the entire indoor roof area of the Adelaide Aquatic Centre. 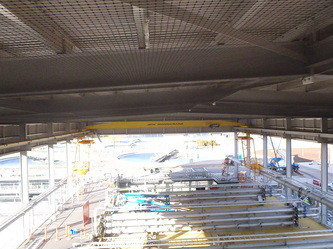 This incorporated working at night around some complex structures along with tricky logistical issues (you can't drive high access equipment on water!). 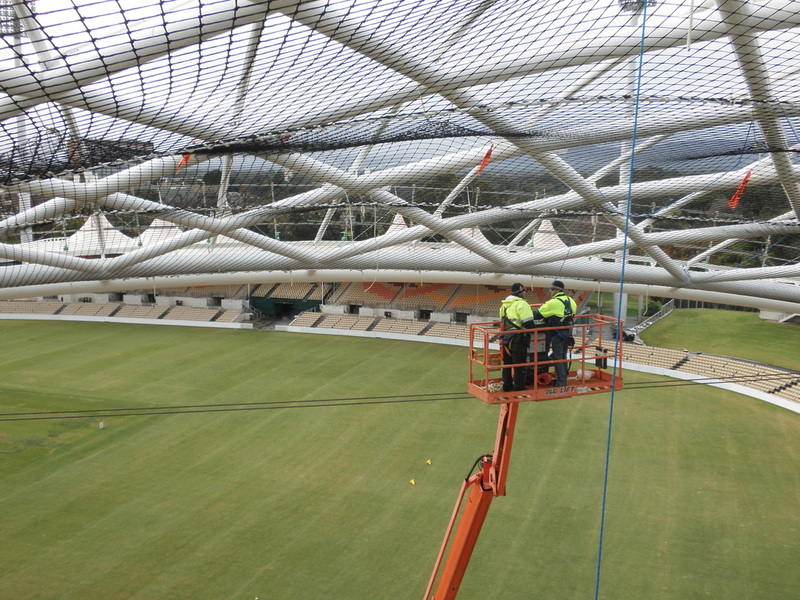 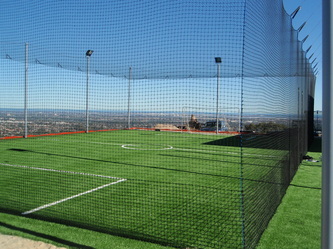 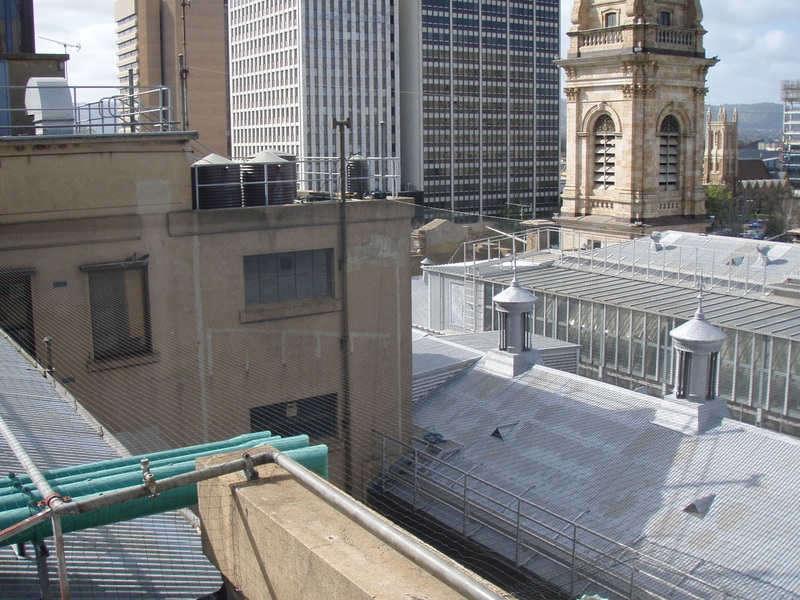 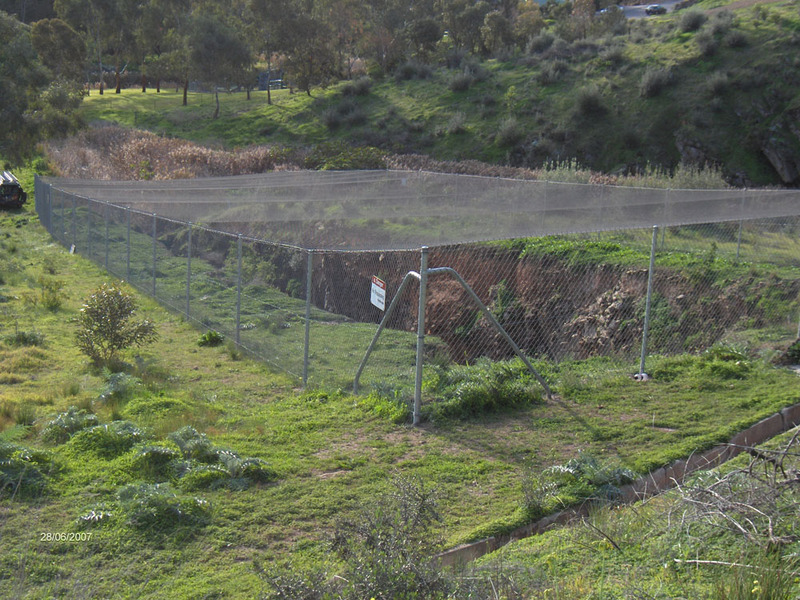 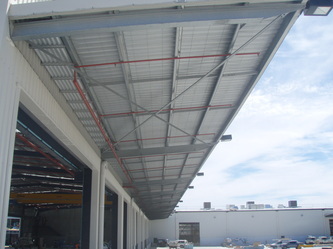 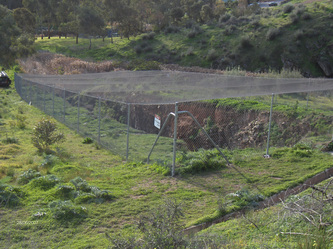 Designing, supplying and installing some of the biggest bird proofing netting jobs in Australia. 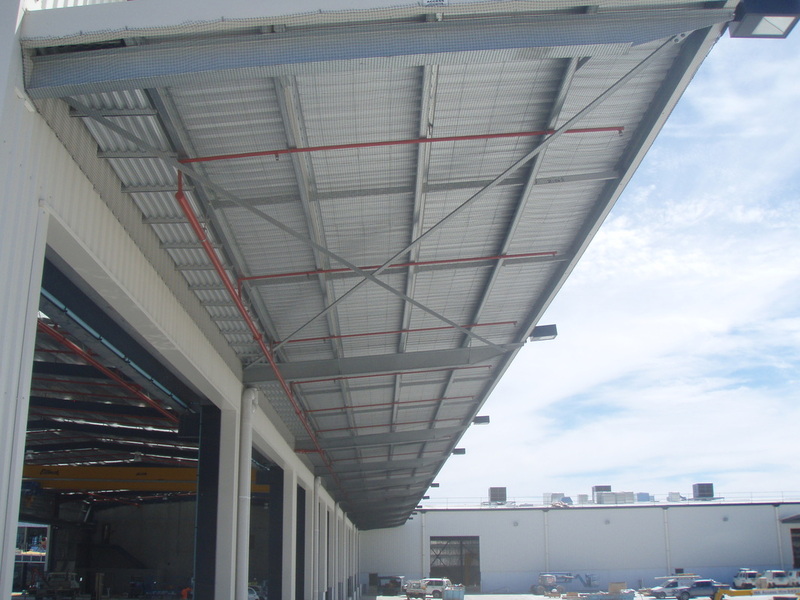 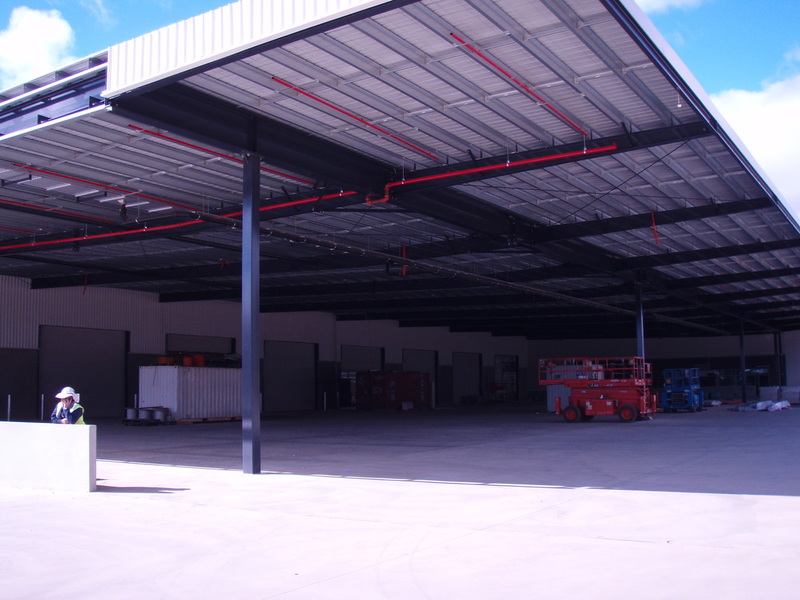 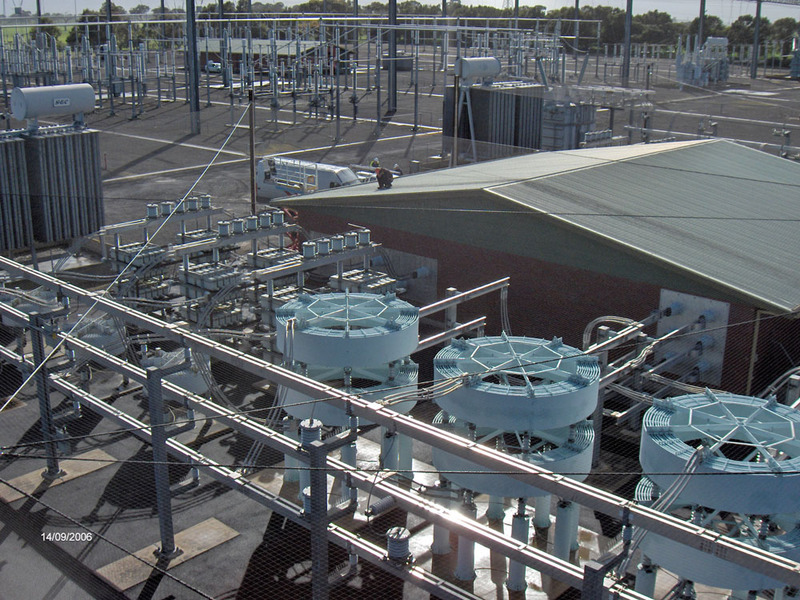 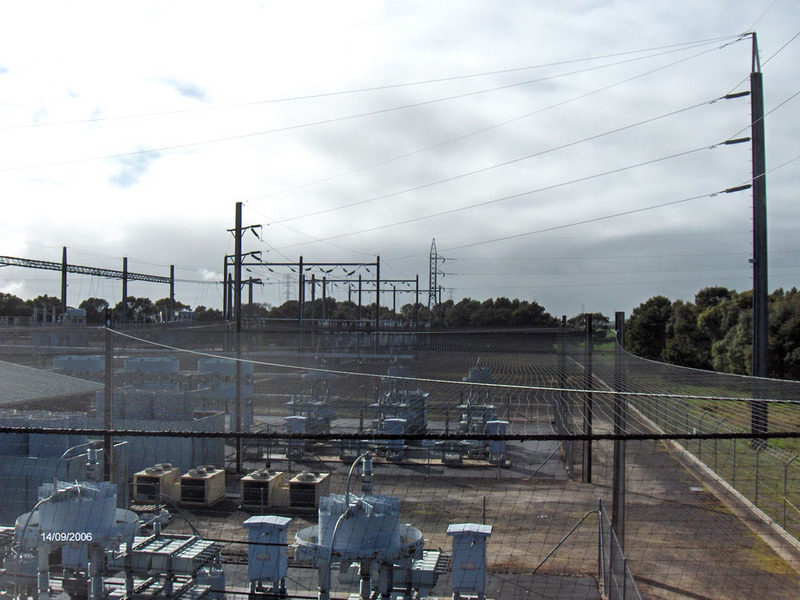 From protecting the South Australian electricity state interconector through to covering the loading docks at all of the new Coles Myer state distribution centres throughout the country we got it installed on time and on budget. 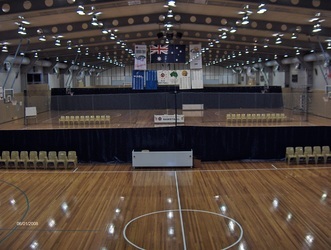 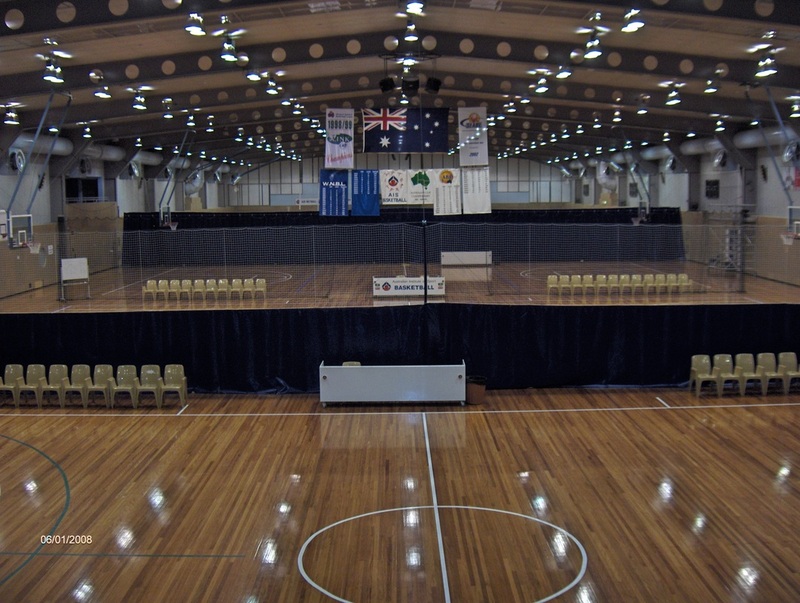 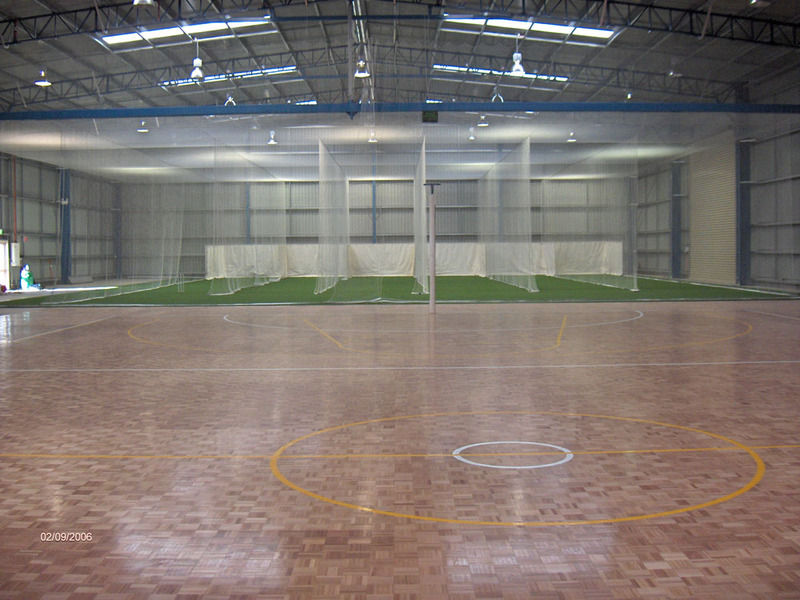 Creating custom training facilities for professional sporting teams including Port Adelaide Power and Greater Western Sydney in the AFL as sports hall Divider Systems for the Australian Institute of Sport. 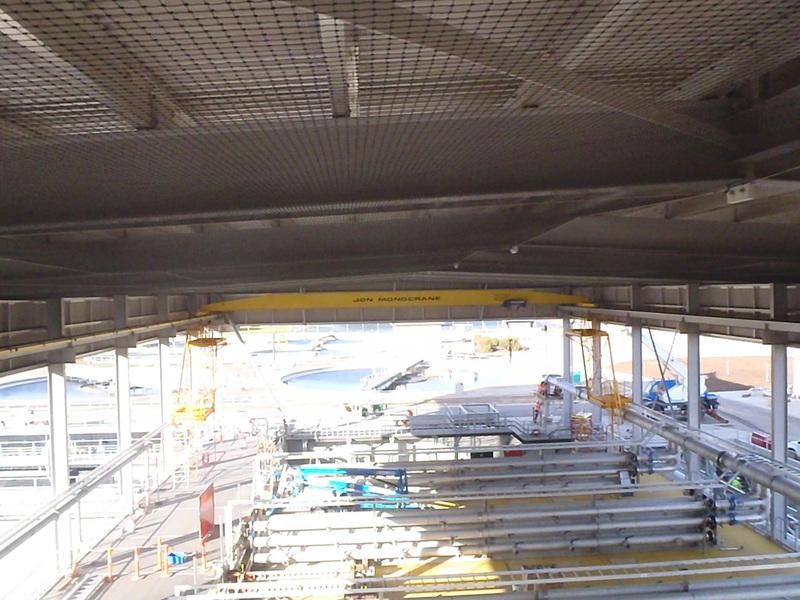 Don't just take our word for it though, the photos to the right show some of our bigger and more complicated jobs... all finished to our high standards. Don't just use your garage for storing junk... Let Advanced Nets turn your garage into a golf driving range, a cricket practice area or a batting cage... 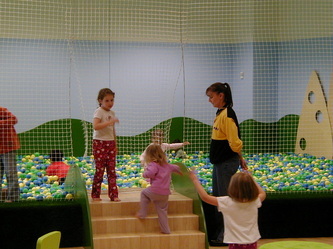 The limit is your imagination. 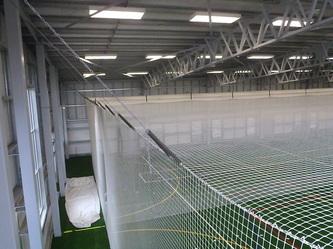 Take a look here to see some of our custom netting installations in small and confined spaces.